Ice climbing in the Dolomites is an exhilarating experience! 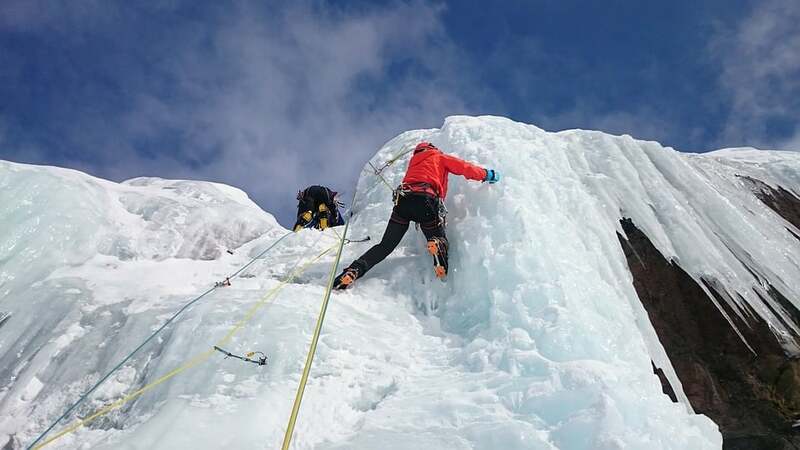 Learning to do it right, in the company of an IFMGA certified mountain guide, is essential. The Dolomites are a famous mountain range in northern Italy. And they are certainly a first class destination for ice climbing! Join me for one or more days and get a taste of the ice. When winter arrives, it doesn’t only mean that snow is here and it’s time to ski. It’s also the magical time of the year when we can climb frozen waterfalls! This is a truly unique discipline. 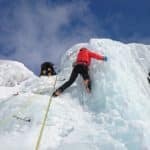 You will certainly love ice climbing if you already enjoy rock climbing. But it is not the same as climbing rocky walls. Ice climbing is an exhilarating experience, climbing an ephemeral wall that will be gone when temperatures rise. I will choose the exact location based on the ice conditions at the time, as well as the weather forecast and your technical level. This program is suitable for beginners, but if you are already experienced don’t hesitate to ask me, as of course I can guide all levels. The Dolomites are filled with beautiful and cosy small towns with B&B, hotels and apartment options. And the Italian cuisine will be the ultimate reward after an intense day on the ice! Tempted to try ice climbing in the Dolomites? Then please book this trip and come see the frozen walls that the cold designs for us this winter! And you can check out my off-piste skiing program in the Dolomites, which is also adaptable to your time and level. The best location for accommodation is in Sottoguda, at the base of Marmolada. Closest villages where to find accommodation is Caprile or Alleghe. Equipment: harness, helmet, ice axes, crampons, mountaineering boots (they can be rented). 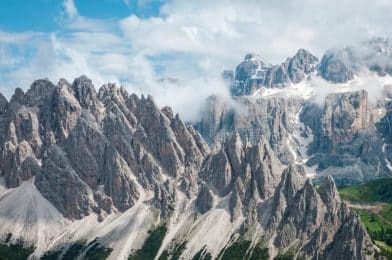 IFMGA-mountain guide with extensive experience guiding mountain activities in the beautiful Dolomites, in northern Italy.